The unemployment rate in Ukraine fell in October compared to September, from 0.1% to 1.5%, the State Statistics Service of Ukraine has reported. The total number of those unemployed was 402,700 in October, or 16,000 people less than the previous month. 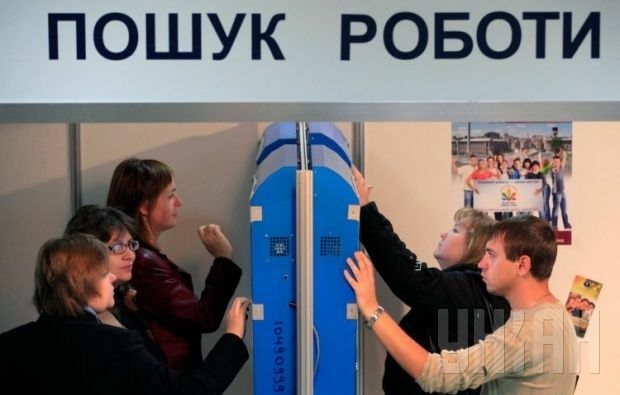 The number of unemployed people receiving social benefits was 307,900, while the average unemployment benefit payment in October was UAH 1,199, which was UAH 45 more than in September. The competition per vacancy in October was seven job hunters per job. In September, the figure was eight job hunters per vacancy. As UNIAN reported earlier, according to the State Statistics Service, the unemployment rate in Ukraine was 1.6% from July through September. At the same time, according to the methodology of the International Labor Organization (ILO), during the first half of this year the unemployment rate in the country was 9% of the total economically active population of working age. For the first six month of last year, this figure was 8.1%.